Kazakh President Nursultan Nazarbayev got a message from French President Nicolas Sarkozy on the occasion of the beginning of Kazakhstan's chairmanship in the OSCE. The French President wished success to Kazakhstan in fulfilling this historical mission, the press service of the Ak-Orda reported. "I am convinced that Kazakhstan will take advantage of this opportunity to reaffirm its commitment to fundamental principles and values of this organization. You can rely on France's and my personal support to gain success of your chairmanship," the letter says. The French President stressed with satisfaction that the idea to hold the OSCE summit in 2010 receives new support. We must continue to work together to bring up those who still hesitate. You know I attach great importance to close relations between our countries. Our meeting in Astana in October 2009 allowed to give them a new impetus. Henceforth, we must maintain this dynamics. In this spirit, I consider the presidential commission. We made a decision about its establishment during this visit. Our goal is to ensure efficient and flexible bilateral cooperation", the letter said. 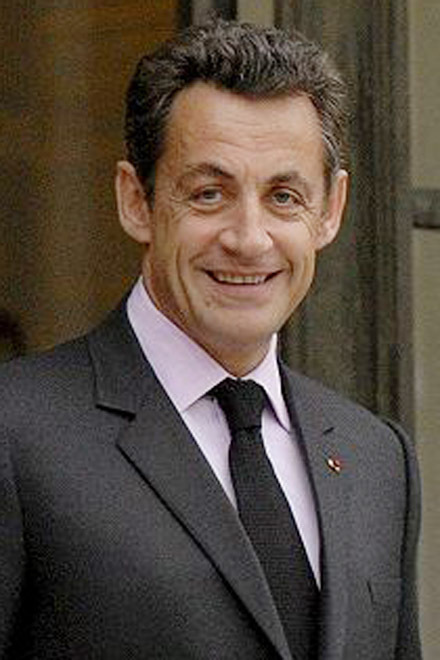 Nicolas Sarkozy wished the president and all the people of Kazakhstan happiness and prosperity in 2010. He also expressed hope for a meeting with Nursultan Nazarbayev during his visit to Paris.